Shadow Conspiracy “The Order” Jacket available now, just in time for cooler weather! 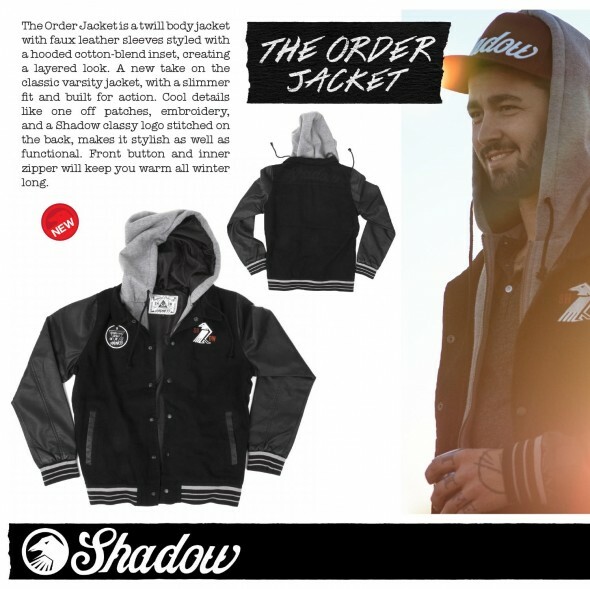 The Shadow Conspiracy just dropped their sickest jacket yet called “The Order”! Click HERE to view more photos, detailed info, and to purchase your own jacket. The Shadow Conspiracy The Order jacket is not only a unique varsity style jacket, but the materials are durable, and comfortable. Shadow is known for their attention to detail, but this jacket goes the extra mile above and beyond anything else we’ve seen from them to date. As with all Shadow soft goods this jacket is super limited edition, so it’s sure to sell out quickly.